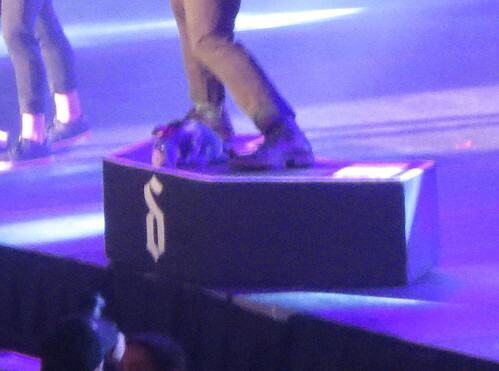 Also known as Shinedown round three. 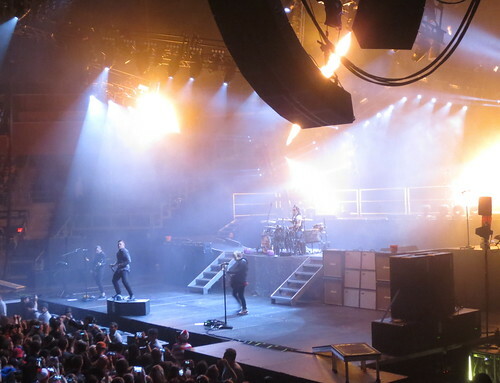 Way back on Halloween, Brandon and I went to go see Shinedown (double-headlining with Breaking Benjamin and alongside Nothingmore) at 1stBank Center in Broomfield, Colo. 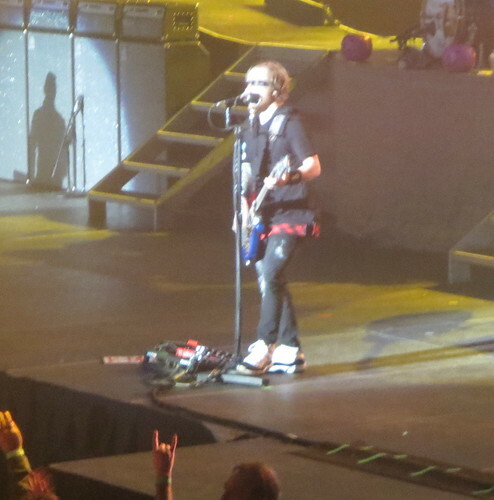 This was my third time seeing Shinedown and second time at 1stBank Center. Let’s start off with the first two acts. 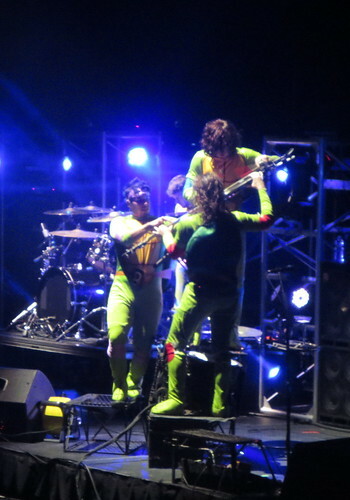 Nothingmore opened with the theme song to the Teenage Mutant Ninja Turtles and the band came out in costume … dressed up as the Turtles. reminded Brandon a bit of Blue Man Group. The night we saw them was their last night on the tour, so they took a giant selfie with the crowd at the end of their set. 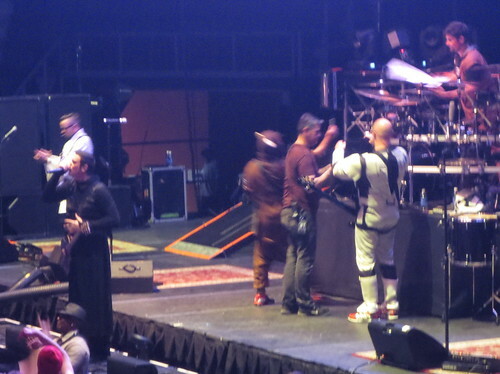 Next up was Breaking Benjamin, who also embraced the day and came out in Star Wars costumes. 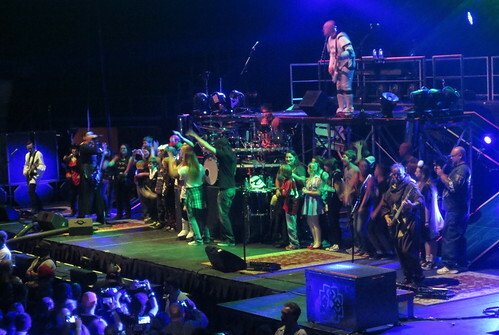 Going on with the Star Wars theme, they did a great mash-up of the Imperial March and a few other covers – Schism, Smells Like Teen Spirit, and Walk. Probably my favorite musical moment of the show. 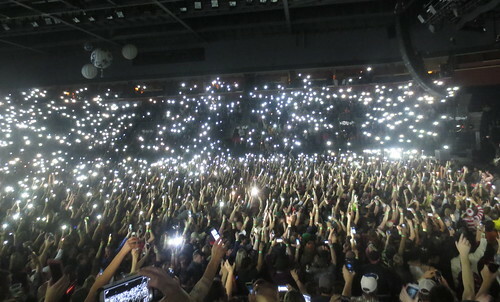 I forget which song they did it for, but they had all the house lights turn off and had all of us light up the arena with our lighters (that is, cell phone flashlights) to show how much light we can bring and it was fairly fantastic to see how much light it was. 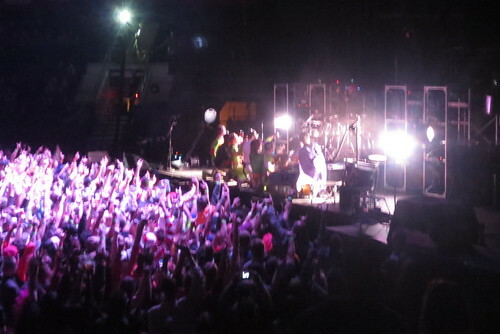 They ended up their set by grabbing a whole bunch of fans from the crowd and bringing them on stage to sing “The Diary of Jane,” and to have a chance to be on stage with their favorite band, which was super, super cool. 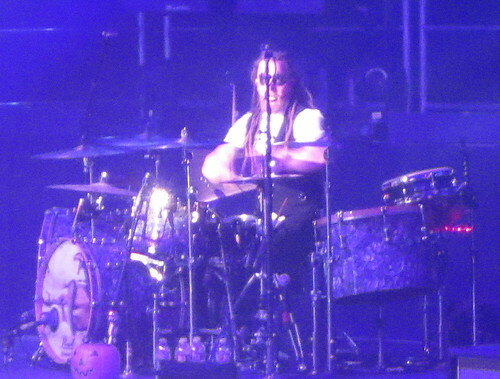 Barry Kerch with some killer make-up going on. Zach Myers with some face paint. 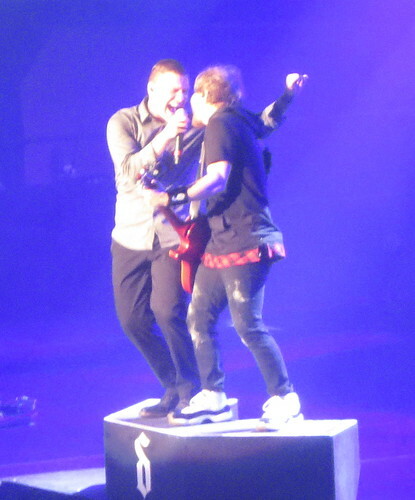 Brent Smith and Zach Myers. Near the end of the show. – Music was fantastic, as always. – They also threw out candy into the crowd. – They played “How Did You Love,” probably my favorite song off the new album. 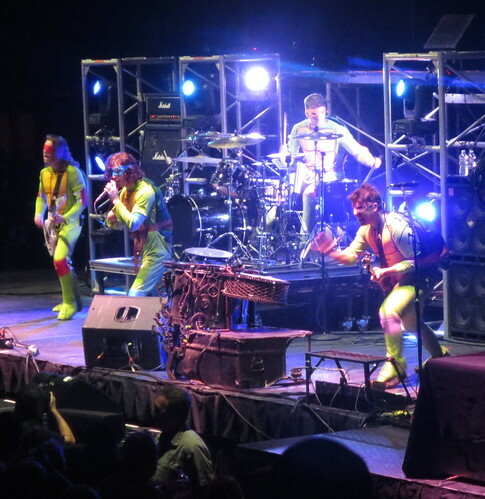 – They really didn’t embrace the Halloween theme like the other bands did. Okay, so they tossed out candy, and Zach and Barry had some face paint on, but that’s it. A little disappointing. 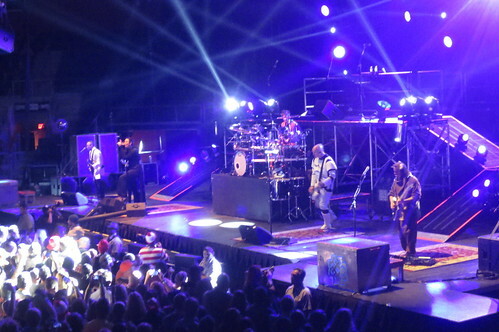 – For it being the “Threat to Survival” tour, I expected way more songs from the new album, as opposed to … three. Come on now, guys. 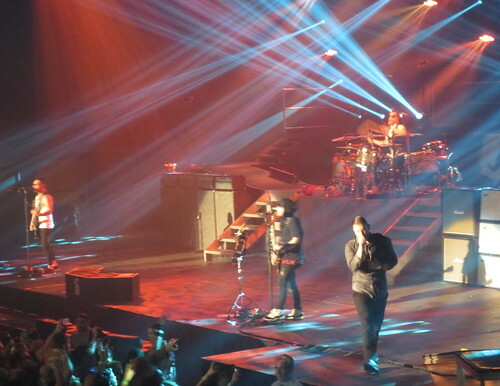 – I’ve seen this band three times … and I’ve essentially seen the same show three times. If the show I’m going to see of theirs in March (hopefully) is basically the same show again … I may not want to go see them anymore because I don’t want to spend my money on the same. exact. show. over and over again. On the plus side, Brandon was able to get one of Barry’s drumsticks (unfortunately it’s just plain; doesn’t have his name on it like the Papa Roach sticks we have) and I was able to somehow snag a Breaking Benjamin guitar pick at the end of the night. Woo!